We are delighted to announce a special Acol Club event at 7.30pm on 20th November. 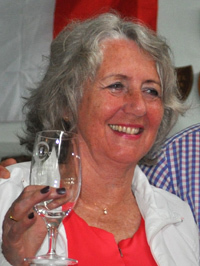 Kath Nelson (BBO name yo_yo), a player of international class, will host a teaching table of 12 boards. Using hands from a recent international match played on BBO, Kath will talk us through the bidding and play. We will invite six pairs to play. We hope kibbers will join in to make this a truly interactive event. Teams will be selected by placing at a future Acol Club Sunday Tournament in early November and please check this website soon for more details. A fuller profile of Kath can be found by clicking here.